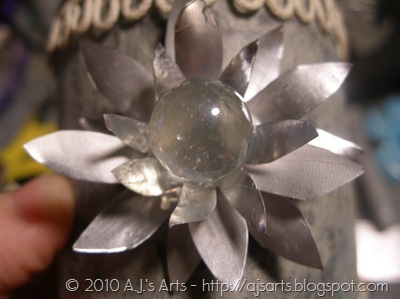 Jewelry from Tea Candle Tins | Who Are You Calling Crafty? I admit I have a tendency to get carried away with a new medium but this has to be one of the coolest (cheapest) projects that I have embarked on. This is the first one I made. Cute, simple but I knew I had to visit this again. It was an embellishment for a box I made. 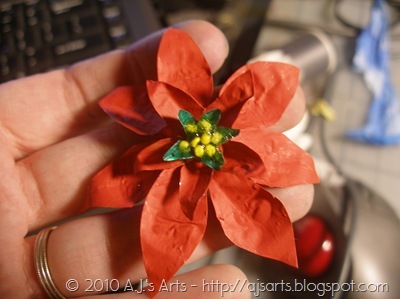 My poinsettia is a pin – I kept it for myself and have worn it several times, many compliments. I also made another one for one of my friends for Christmas. Earrings I made for a friend for Christmas (she loves them). I cut out a circle and then embossed the metal, colored it with a black Sharpie marker wiped it off with a baby wipe. 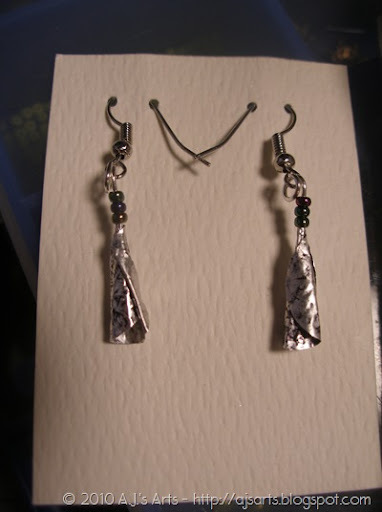 I then rolled the metal around a loop and added three seed beads to finish the earring. The embellishment I made to replace blue one. 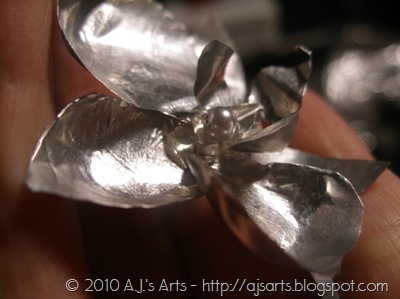 The orchid I made – I love orchids. 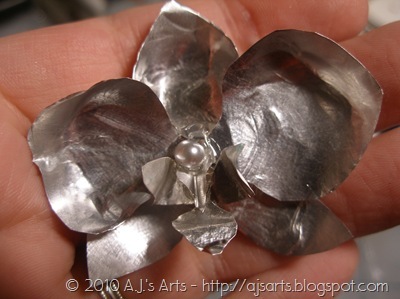 I am thinking of adding this one to a barrette or a pin. Side view of the orchid. 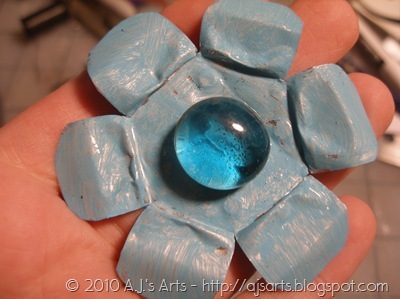 The ball is a bead I had that I hot glued to the piece. I really want to get some paint markers (oil paint markers) because they work FANTASTIC on the metal (I currently have one color – red. 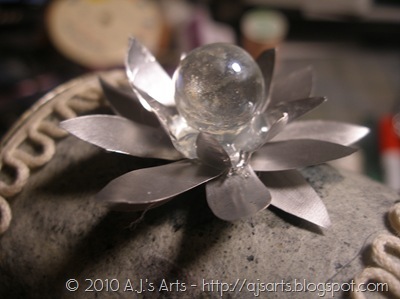 I am so excited to create more items with them.